There's always a likelihood of a deadly boring race when the drivers know they have a second race to get through to determine the final result. Unfortunately, the qualifying race for the 51st Macau Grand Prix was eventful from the word go, and not necessarily in a good way either. It started when Richard Antinucci (TOM's) was a little slow getting away from his grid slot, and Nelson Piquet (Piquet Sports) jinked out to pass him. He didn't get it quite right and tore the left-front wheel off the car. He limped onwards, but behind him all hell broke loose. Kazuki Nakajima (TOM's) also bogged down badly at the start, and was promptly hit by Marchy Lee (Meritus). The great hope of Chinese motorsport - who may well be Dutch again if the entry list is to be believed - Ho Pin Tung (Hitech Racing) arrived on the scene and was launched into the air when he hit Lee, and the next thing anyone knew, Rodolfo Avila (Carlin Motorsport) and Eric Salignon (ASM Formule 3) were both in the wall just after the Start/Finish line. Almost everyone got out and ran away from the wreckage, apart from Salignon who remained trapped in his car for what seemed like a very long time. Needless to say the Safety Car was quickly scrambled, picking up the leader Lewis Hamilton (Manor Motorsport), who'd got the jump on the pole man, Robert Kubica (Manor Motorsport), at the start; by his own admission, the McLaren supported youngster had frightened his team-mate into lifting as they approached Mandarin. "It was very scary. Robert was covering the inside as I got the tow. I pulled to the left to try and pass him, but there wasn't enough room to go through side-by-side. I hoped to scare him into lifting, which he did, though I was sideways." With debris everywhere, and the extraction team working to free Salignon, the survivors were left to pick their way delicately across the Start/Finish line trying to avoid anything sharp that might lead to a puncture, before settling in for four laps behind the Safety Car. The order was pretty well established, with Hamilton in the lead from Kubica, Nico Rosberg (Opel Team Rosberg), Alexandre Premat (ASM Formule 3), Fabio Carbone (Three Bond Racing), Jamie Green (ASM Formule 3), Lucas di Grassi (Hitech Racing), Loïc Duval (Signature), Danny Watts (Hitech Racing) and James Rossiter (Signature). 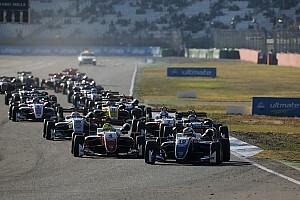 In 11th was Franck Perera (Prema Powerteam), ahead of Adam Carroll (Menu Motorsport), Antinucci, Rob Austin (Menu Motorsport), Katsuyuki Hiranaka (Prema Powerteam), Ronnie Quintarelli (Inging), Daisuke Ikeda (Swiss Racing Team), Naoki Yokomizo (Inging), Marko Asmer (Carlin Motorsport) and Matteo Cressoni (Ombra). Giedo van der Garde (Signature) was 21st, from Alvaro Parente (Carlin Motorsport), Michael Ho (TME Racing), Lei Kit Meng (Ombra), Christian Jones (TME Racing) and Jo Merszei (Swiss Racing Team). While all this was occurring Piquet had managed to limp round to the pits, despite the fact that his left front wheel was no longer properly attached. 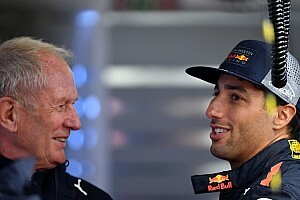 Whatever the team did, however, they wouldn't be able to fix the problem in the time available so he would start Sunday's Grand Prix from somewhere very close to the back of the grid. Oddly, he didn't seem terribly distressed by the whole thing. To the relief of everyone Salignon was finally extracted from the car and taken to hospital for precautionary observation; he would later be released with no serious damage. Meanwhile the wreckage was craned away and cement dust spread everywhere by the incredibly efficient Macanese marshals. And so, finally, it was time for the race to go live again, though hopefully with a little less insanity. If we kept on losing cars at this sort of rate we'd be lucky to have any left by the time the Grand Prix came around. As soon as the Safety Car pulled in, Hamilton floored it, controlling the restart beautifully, while Rosberg was harassing Kubica for that second place, taking it from him in a nifty manoeuvre on the run up to Mandarin. A little further back, di Grassi was seemingly slower than the men behind him, but he wasn't about to hand over his hard won place. There was further interest in the mid-field area too, where Carroll was giving Perera a hard time. 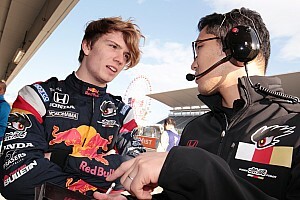 He finally managed to get past before the lap was completed, and then set about hunting down Rossiter, just to reprise his British Formula Three season experiences. Elsewhere, Carbone was having trouble holding off Green, and in fact lost a place to the Englishman. He wouldn't give up, but he'd have trouble taking it back. Apart from Premat, who was displaying a marked fondness for scuffing the wall at Maternity Bend, they all seemed much calmer now. However, you had to wonder how long the French driver could get away with getting so close to wall. Meanwhile, Hamilton was busy building up a lead at the front, while Kubica was having difficulties maintaining station, losing out to Premat into Lisboa. That left him to the mercies of Premat's teammate, Green, though he wouldn't prove so successful at overtaking. A last lap lunge came to nothing and the Polish pole man would come home in 4th place, somewhat disappointed but philosophical about it. 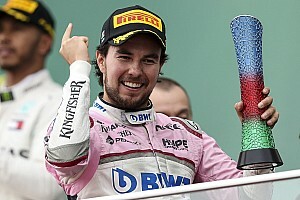 He maintained that being on the second row of the grid for the Grand Prix was frequently better than being on the front row, and history certainly seems to back up this theory. We'd just have to wait and see. Meanwhile, Premat was busy setting fastest lap, while a group of drivers were all bottled up behind Duval. Included in this gaggle was Watts, who'd managed to rip his front wing end plates off but was clearly having fun out there. He now had Rossiter to contend with, and Carroll was just behind the two of them; it was starting to look like Donington in July all over again. A lap later and the fastest lap had gone to Hamilton, who was still pressing on as hard he could, as shown by the fact that he then went out and set a whole series of fastest laps up to the end of the race. Watts, meanwhile, lost his place to Rossiter, which left him and Carroll slugging it out - the two of them having despatched Perera in summary fashion - slipstreaming each other down the straights and scrabbling through the corners in a most entertaining manner. It all went a bit pear- shaped when Antinucci tried to join in, having also passed Perera. On lap 7 Carroll pulled a move on Watts as they headed to Lisboa once again, and Antinucci was left with nowhere to go apart from up the escape road. He tried to get going again, but the car had cried enough, and was removed from the track, leaving the American to contemplate what might have been. 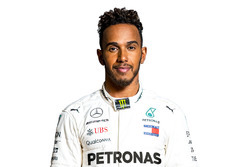 And so, after 10 laps, and some fine driving from Hamilton, he came home the winner, to claim pole position for Sunday's 51st running of the Macau Grand Prix. 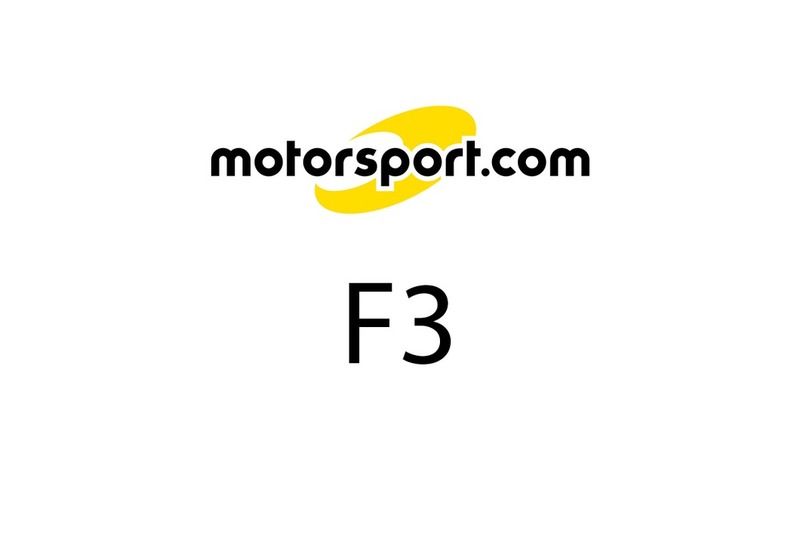 That was the job half done, and Manor Motorsport were clearly back on form after a somewhat rocky year in the Formula 3 Euro Series. Rosberg was also impressive in 2nd place, again on the back of a disappointing year in the Euro Series. 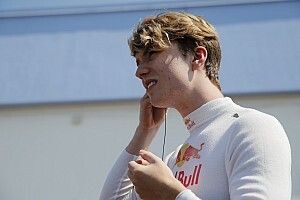 Premat was the top Macau rookie in 3rd, with Kubica 4th from Green, Carbone, Duval, di Grassi (highest placed of the British F3 series runners), Rossiter and Watts. 11th was Carroll, from Perera, Hiranaka, Austin, Yokomizo, Quintarelli, Parente, Ikeda, Asmer and Cressoni. After a somewhat torrid couple of days in qualifying van der Garde actually brought the car home in one piece, in 21st, ahead of another son of a former F1 World Champion, Christian Jones. Local boys Ho, Lei and Merszei were the last classified runners. The question now was could Hamilton do it again, or would Rosberg get the drop on him at the line. The Finn hadn't been pushing especially hard by his own admission, not wanting to crash out at this point. The Englishman, on the other hand, had been doing his damnedest to get away from Rosberg, and was clearly flying this afternoon. Sunday afternoon was either going to be very destructive or very dull. As this is Macau, you could probably bank on destructive. You can also pretty much guarantee that the race would provide its usual selection of thrills and spills. Watch this space.